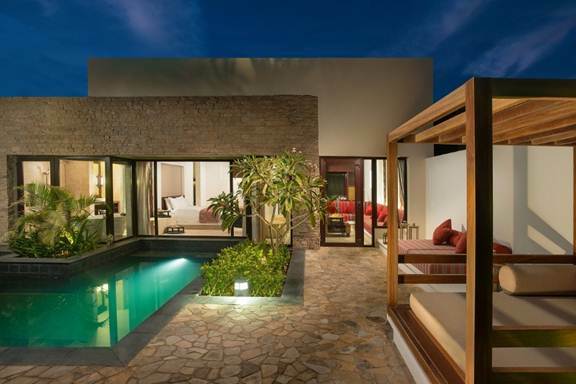 Anantara Hotels, Resorts & Spas continues to raise the bar for Omani luxury. Revealed as the collection’s second resort in the Sultanate of Oman, Al Baleed Resort Salalah by Anantara, will soon open its doors in the lush seaside jewel of Oman’s southern shores. Famed for the riches of its frankincense groves and a profusion of tropical greenery that conjures up new images of Arabia, Salalah offers travellers an emerging destination of breathtaking natural beauty. The new resort makes the most of an immaculate site, placing guests between a long, scenic beach and freshwater lagoon. Drawing from centuries of coastal heritage and embracing the desires of modern travellers, Anantara is set to deliver its indigenous inspired-hospitality to Salalah when the resort welcomes its first guests this summer. Conveniently located just 15 km from the airport, the resort sits within easy reach of Salalah city centre and the unique charms of South Oman, characterised by a summer monsoon season, known locally as Khareef season, which transforms it into a spectacular oasis of greenery. 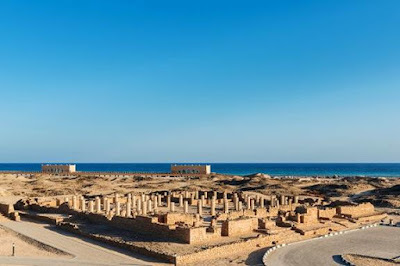 As the oldest independent state in the Arab world, the region is defined by a rich history, with an abundance of archeological sites, imposing forts, frankincense trees and vibrant souqs for those looking to tune into the spirit of old Arabia. Al Baleed Resort Salalah by Anantara has been designed with the simple grandeur of the region’s iconic coastal fortresses in mind. Striking and authentic architecture will be framed by lush tropical gardens, walkways surrounded by towering palms and eye-catching water features to create an air of tranquillity and serenity. The resort will comprise 136 rooms and villas, offering indulgent luxury with handcrafted furnishings and rich textures throughout to enhance the contemporary Middle Eastern ambience. Overlooking the Arabian Sea, lagoon or picturesque gardens, each guest room will be equipped with contemporary comforts including interactive LED TVs, luxurious bath products, mini bar and spacious walk-in dressing rooms. 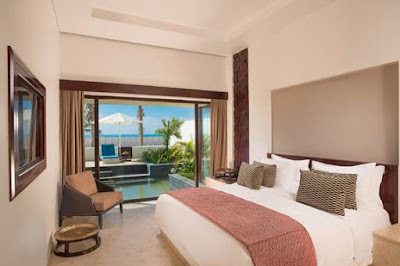 With 40 Premier and Deluxe Rooms and 8 Villas, guests will be able to choose from Premier Sea View Rooms or the larger Deluxe Rooms, offering either views of the gardens or the pristine beach. All will feature a spacious bedroom, en-suite bathroom with rainshower and separate bathtub, walk-in dressing room and terrace or balcony, with the villas enjoying separate living areas. 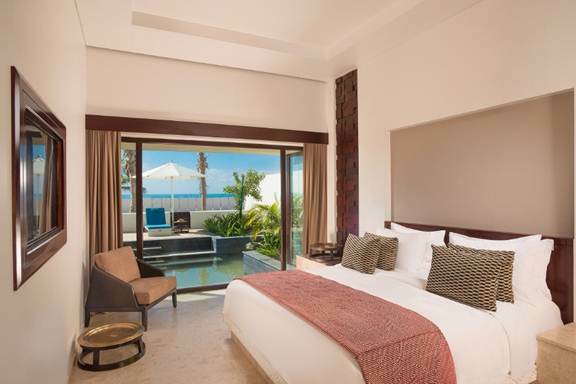 In addition, 88 one and two bedroom Pool Villas will entice guests with private temperature-controlled swimming pools and personalised butler service, whilst the elegant three bedroom Royal Beach Villa will boast commanding views of the sandy bay and embody luxury and opulence. Catering to a variety of palates, the resort’s three exquisite dining venues include Sakalan, an all-day restaurant showcasing world flavours; speciality South East Asian restaurant Mekong, featuring cuisine from countries bordering the Mekong River; and Almina, a relaxed Mediterranean beach bar and restaurant serving refreshments and barbecue delights. Guests desiring romance and seclusion can indulge in Dining by Design and enjoy a bespoke menu served by a private chef and waiter in an idyllic beach location, whilst an extensive in-room and in-villa dining menu will also be available. Ideal for travellers with a passion for nature, culture and history, the resort is located next to the Botanical Garden and Museum of Frankincense, as well as Al Baleed Archaeological Park, a UNESCO World Heritage Site. Other inspiring experiences including thrilling journeys to explore the fort-dotted mountains, rugged wadis and pristine beaches, with active travellers well served by diving, cycling, kite surfing and climbing. Rooted in Thai philosophy with influences from Arabia, Anantara Spa will take guests on a holistic journey. Featuring five treatment rooms, a female salon and nail spa, separate male and female wet facilities, Razul treatment rooms and the only hammam in Salalah, it will offer relaxing and rejuvenating treatments using indigenous ingredients for an outstanding wellness experience. For those who want to stay in peak condition, the resort will have a fully equipped gym, watersports centre, tennis court, beach volleyball court and an array of team sports, whilst an infinity pool will be perfect for exercising or simply cooling down. A dedicated children’s and teen’s club will feature an outdoor splash area as well as a host of fun and creative activities, whilst two dedicated events spaces will cater towards business meetings, conferences and weddings. For more information or to make a reservation, please go to: HYPERLINK "http://salalah.anantara.com/"